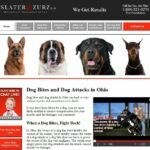 Searching for an Ohio dog bite lawyer is something you never expected. It’s nearly impossible to anticipate a dog attack. 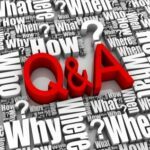 You probably have many questions about what to do and what actions to take. We are here to help you. We’ve been assisting dog bite victims in Ohio for over 40 years. Contact us for a free consultation by calling 1-888-534-4850 or send us a message by filling out the FREE CASE REVIEW on the right. We will provide you with the information and guidance you’re trying to find. We charge nothing whatsoever for an initial consultation and you will be under no obligation to hire our firm. We always respond to calls and messages immediately. This includes Saturdays and Sundays. Ohio has dog ordinances that place specific requirements on dog owners. They must control their pets and prevent them from harming people. Ohio also has laws that govern dog attacks. Owners are held liable for injuries their dogs cause. Ohio laws and ordinances determine what will happen to a dog that bites someone. If you would like to know more about these laws and ordinances, contact us for a free consultation. We will explain. To review these Ohio laws, visit the following link: Ohio Dog Bite Laws. We helped these clients take action. Even though the dog owner was a neighbor and a friend. We understand these are sensitive situations where you don’t want to ruin a relationship. Having us handle it helps. The majority of these cases we’ve handled over the last 40 years involve children. There is nothing worse for a parent than seeing a son or daughter hurt. Dog bite cases that involve children need to be handled carefully. There are usually injuries to the face and the emotional trauma can be severe. It can have a huge impact on the child’s future. We help you prepare by delivering results your child needs. It’s important to get a fair amount of compensation to deal with the dog bite injuries your son or daughter may have to live with for the rest of his or her life. A young boy was viciously attacked by a dog and sustained multiple injuries. We helped the boy and his family receive a settlement of $230,000. A woman was taking her dog for a walk when a neighbor’s dog attacked her dog. In her attempt to save her dog, she was also attacked. We helped her receive a settlement of $50,000. A claim to recover compensation for the injuries you sustained in a dog attack will be handled by the dog owner’s insurance company. The insurance company has a team of professionals who are paid to make sure you receive the least amount possible. We won’t let that happen. We are your weapon. Our lawyers know how to deal with insurance companies. We will make sure you are treated fairly and receive the amount of compensation you deserve.